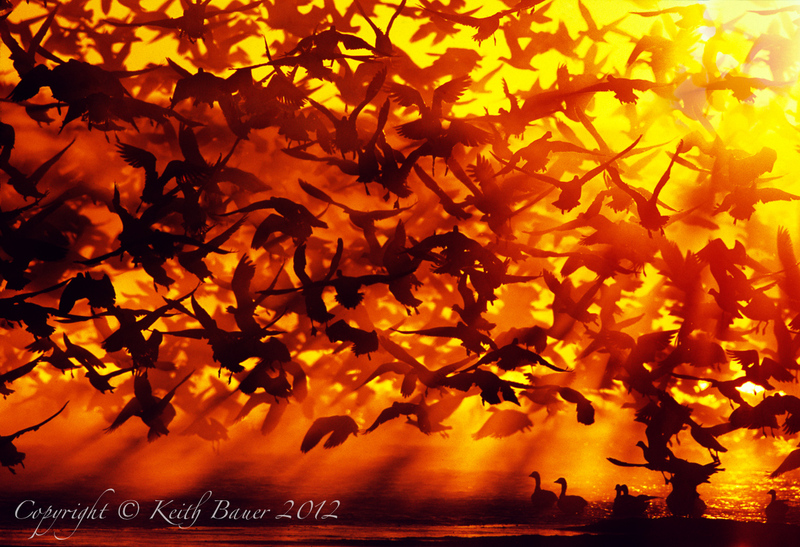 Bosque del Apache National Wildlife Refuge /Hawks Aloft Inc.
As the first rays of the sun crest the hills to the east, Sandhill Cranes and light geese (Snow Goose and Ross’ Goose) burst into flight. Perhaps a hunting Bald Eagle is within their view, or maybe they just decided to move to feeding grounds at the same time. The cranes arrive along the Middle Rio Grande and at Bosque del Apache National Wildlife Refuge in October and stay as late as March. The wildlife viewing during this time is unparalleled.